"We will not obey unjust laws or submit to unjust practices,” wrote Dr. Martin Luther King. 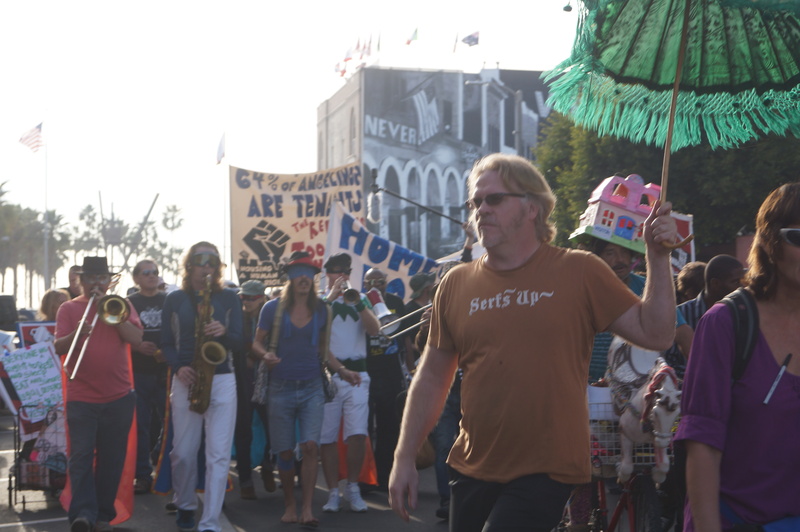 And so it was: public feedings, parade led by Superbroke Brass and Tin and Strings Electric Marching Band, sit-in after sit-in on the Boardwalk, and a sleepout at the Venice Circle. In the spirit of Dr. Martin Luther King Jr. and the weekend commemorating his work in the Civil Rights movement, Western Regional Advocacy Project (WRAP) member organizations and friends met in Venice to promote legislation for California as a Homeless Bills of Rights. Venice is one of the extreme examples of how homeless and other low-income people are being pushed out of public space through curfews, beach and boardwalk closures, restricted access to public restrooms, illegal seizures of personal property, and over-regulation of vending and free speech activities on the Boardwalk. Similar criminalization and discrimination efforts are happening throughout Los Angeles and beyond. “Public spaces in Los Angeles are for everyone and criminalizing our friends and neighbors currently without housing is obviously violating human rights. 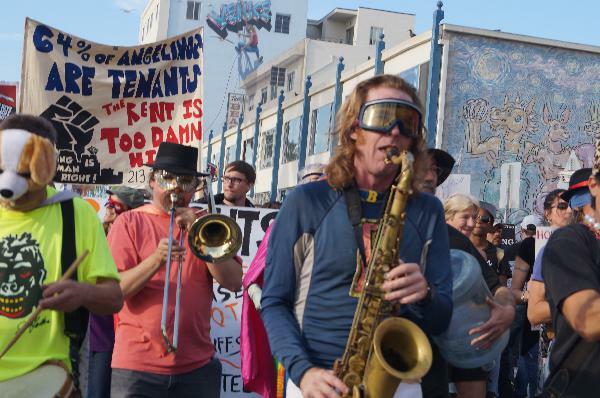 I personally cannot tolerate these injustices so that’s why I am taking to the streets on Saturday on Venice's Ocean Front Walk to honor Dr. King and call for an end to unjust laws and practices that target un-housed and poor people,” said Deborah Lashever, of Occupy Venice. "I just keep thinking, what would Dr. King do?" 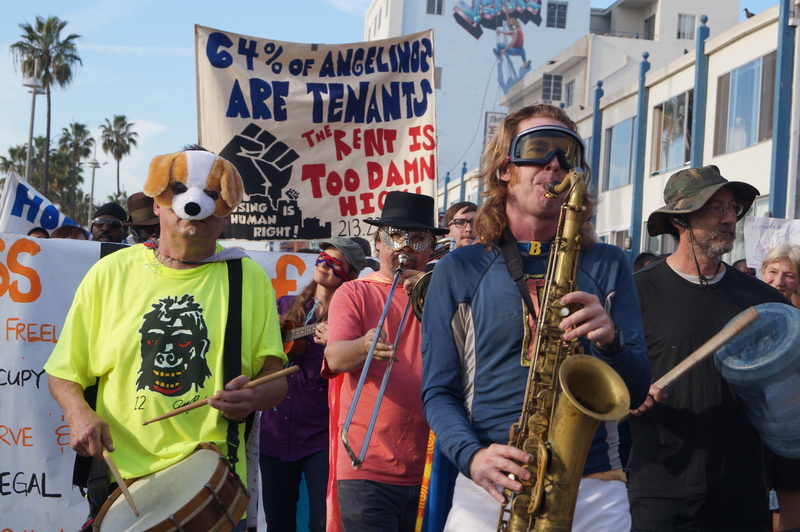 One solution to homelessness is, of course, access to affordable housing. But until then, laws and police practices that criminalize basic life sustaining activities such as lying down to rest, sitting on benches, sharing food, sleeping in legally parked cars, and simply moving through public spaces are a threat to human rights for all. 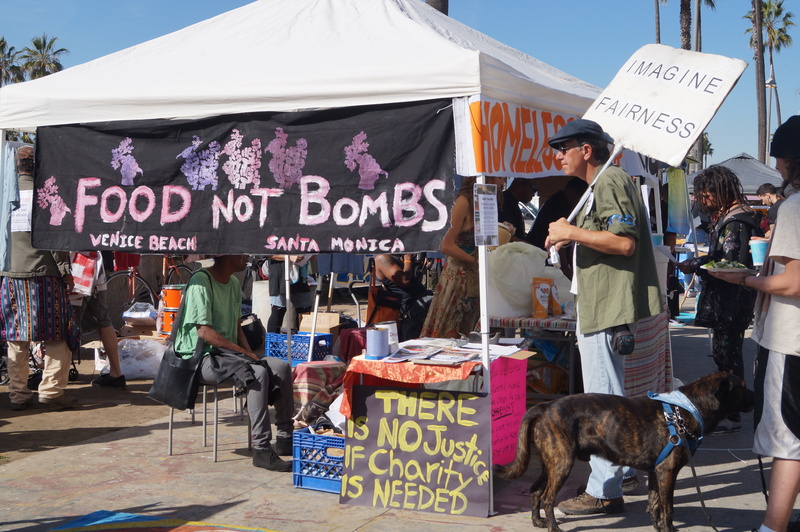 The participating and organizing groups were Venice Food Not Bombs, Los Angeles Community Action Network, Occupy Venice, October 22 Coalition and many more.